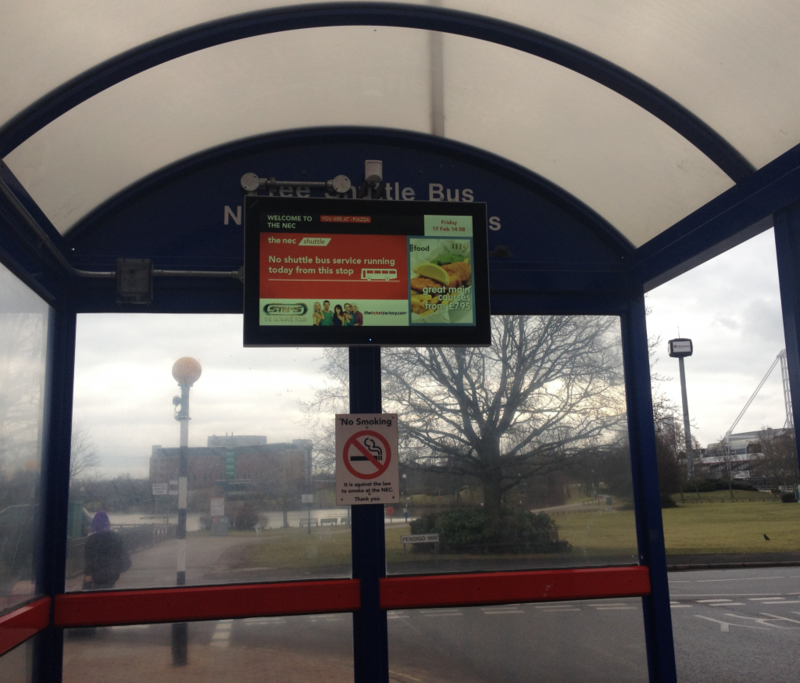 We are glad to announce that, after three years of successfully powering the LG Arena, our on-premise digital signage application POVNG was chosen again by The National Exhibition Centre for its new bus shelter displays located across its estate, near Birmingham. 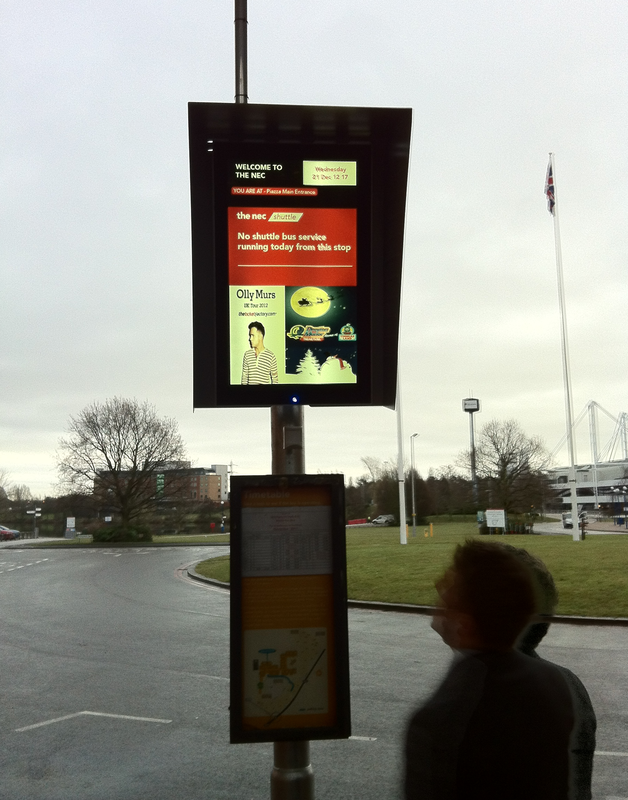 The system will deliver real-time information and adverts to visitors of different exhibitions and events. 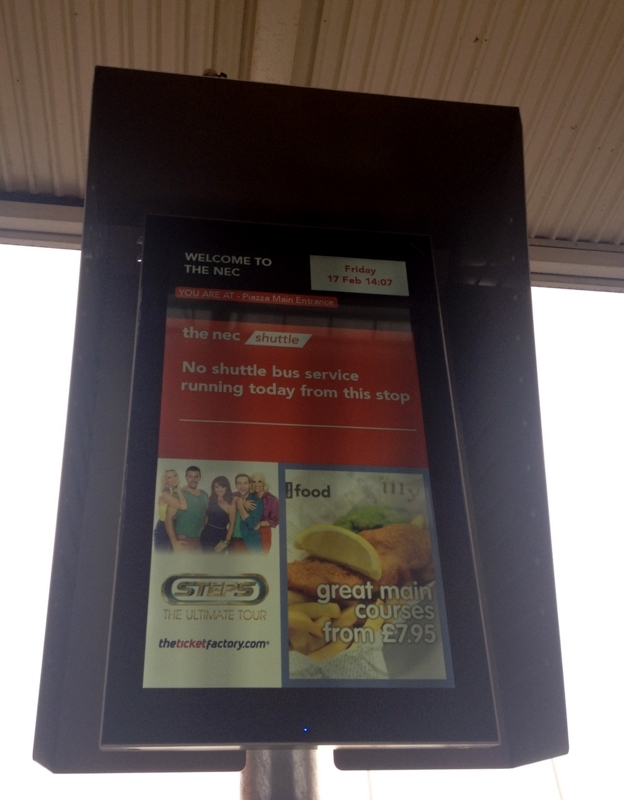 As stated above, the new install is intended to enhance the visitor way-finding by showing shuttle bus timetables location, date & time and advertising, disseminated and updated simultaneously using our entreprise solution. 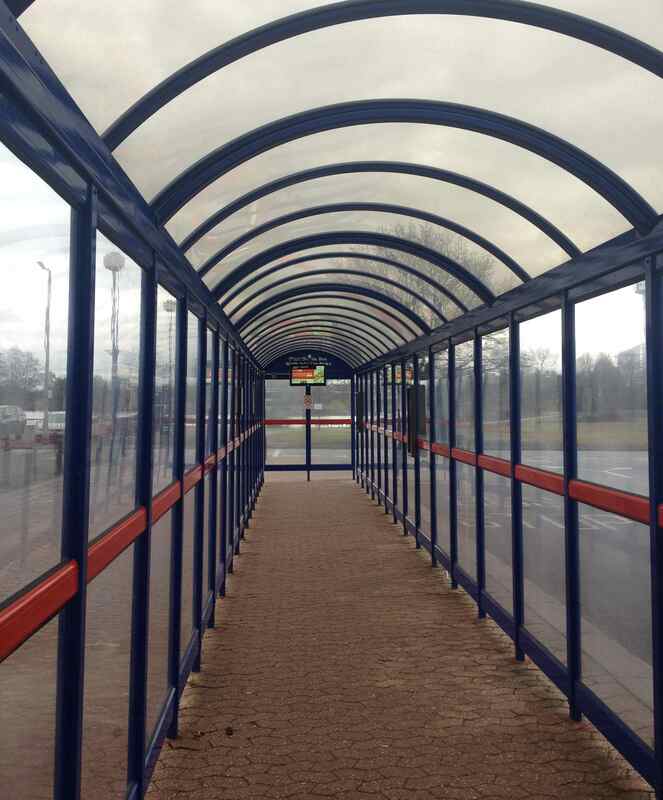 The displays are to be found at key locations throughout the estate giving way to repeated and longer exposures to the displayed messages (to the benefit of advertisers) and lower perceived wait time for the visitors catching the various buses across the site. The NEC occupies a 610 acre site in the borough of Solihull, just eight miles from Birmingham City Centre and offers unrivalled flexibility across more than 186,000 square metres of covered exhibition space through 20 interconnecting halls. To learn more about POVNG, our on-premise digital signage software, please visit our corporate website or contact us.